Tennessee. As with most southern African American families faith in God and attending church every Sunday was a part of life. Helen accepted Christ at an early age, attended Womack Temple C.M.E. Church for Sunday School and church services with her family. preceded his mother Helen in death. After moving to San Diego, Helen and the children joined Second Baptist Church of Linda Vista. Always the faithful servant Helen served on the Trustee Board as Treasurer, sung in the church choir and served in several other capacities within the church. In 1975 Helen married Edward I. Mondane. They enjoyed traveling extensively in the United States; visiting relatives in other states and entertaining at home. In 1999 returning to their Methodist roots Helen and family became members of Bethel Memorial A.M.E. Church, Rev. C. Dennis Williams was Pastor at that time; Helen truly believed that she had found the church home that she had been seeking. Linda Vista who might be in need. All items were washed before they were given out. Although being on a fixed income Helen found solutions to cover the extra expenses. Helen would often include her grandchildren in picking up bread or feeding the homeless. force of her love and kindness for others less fortunate than herself. Wise and humble she navigated the challenges of life with grace and determination. and attending meetings at Bethel. Without question the seventh day was devoted to God. For 25 years Helen volunteered as an Election Poll Worker, for 26 years she attended Bible Study Fellowship classes and also served as the Treasurer. Over the years, she became a friend and sometimes family to those who volunteered with her. Helen worked for Solar Turbines as an Electronic Assembler and was promoted to Dispatcher until she retired. During her employed years Helen worked for Cubic, North Island Military Base, Teledyne Ryan, International Harvester, Voice and View Point Newspaper and as a Demo Specialist for Costco with her sister Juanita. Helen considered her daughter Pat to be her best friend; they had an unwavering relationship of love and support for each other. and illness Helen’s daughter moved her into her home taking over the care of her mother. Pat was with Helen when she bid farewell to this life. 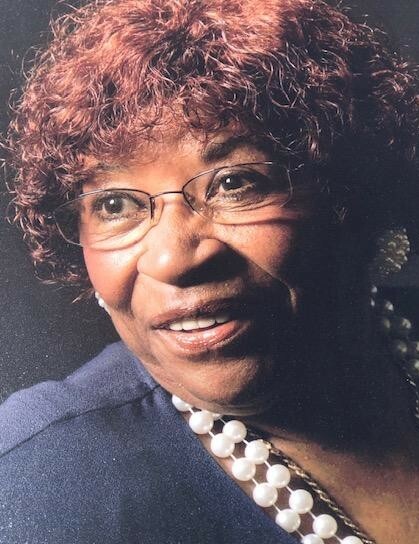 The afternoon of April 1, 2019 Helen K. Gregory was called Home to the open arms of God joining her parents, siblings, daughter, son and niece who preceded her in death. great-grandchildren, Chadd-Gregory Johnson, Lauryn Gabriel, Mervain Cutler III, Zakarai Carnethon, Amare Carethon and Ozias Carnethon. Major Albert H. Gregory, Jr. USA (Ret), adopted daughter Carol Williams, other relatives, Bethel A.M. E Church Family, extended family and friends.